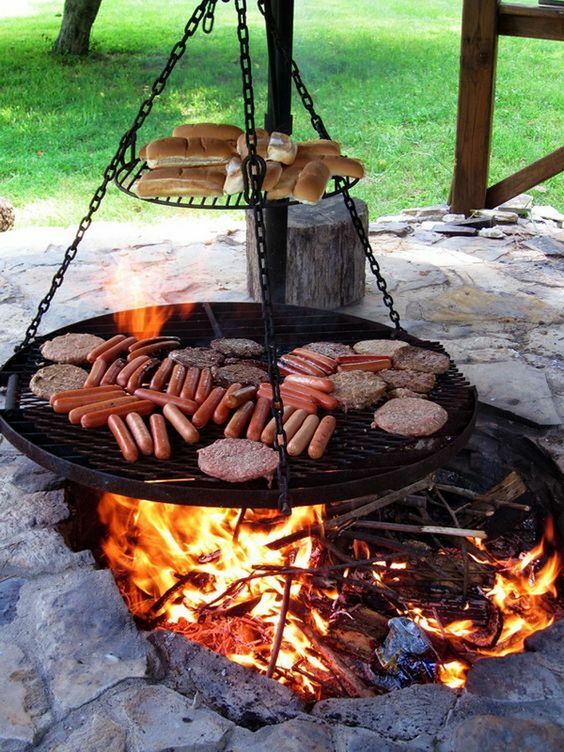 A lot of us like to host house parties and BBQs during festivals and vacations or family events. But we need a big space for that. If your backyard isn’t big enough or you don’t have a porch or your house doesn’t have a terrace, we have a clever idea to make use of the space most of us have – A Carport. It makes the classic space for a party for your friends and family. 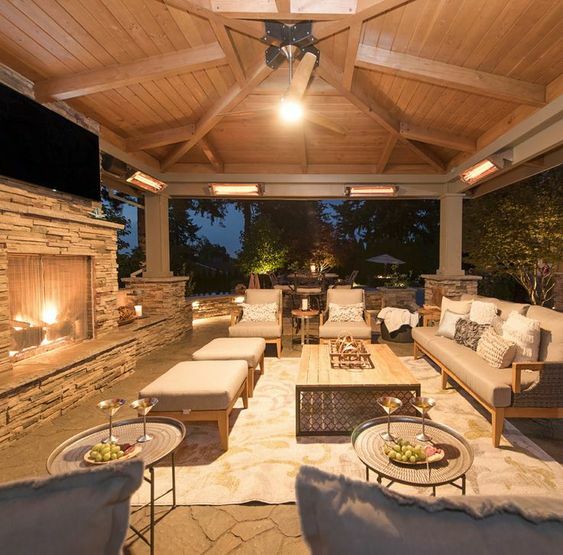 You may use the entire area for the outdoor entertainment spot or just a part of it in many different ways. So, here are several ways of turning your Carport into an Entertainment Area. Get ready for some amazing inspirations! 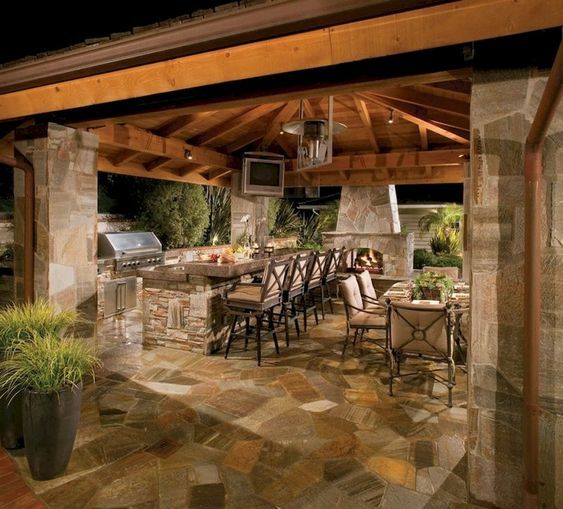 Setting up a barbeque area is the most popular way to use your carport. All you have to do is place the Barbeque right in the middle of the carport and seating at the sides. Tables with checked tablecloths and a porch swing will be an aesthetic choice. If you have a smaller space, you can place one small table and a few chairs. A beautiful mat on the floor with cushions and some music would set up the mood. If you have a bigger space you can get a bigger BBQ and place a Guitar in a rack, swing chairs and a music system. Turning your carport into a music venue is an amazing way to make your home an entertainment site. A carport has the space to accommodate any genre of music and any amount of musicians you might need for your house party. You can set up a romantic date with soft music and glitter lights hanging all around. Or you can call your musician friends and have a bash with drinks and food. This is the most worthy and budget-friendly plan you’re looking for. Love to party? Then its great idea for you to repurpose your carport and turn it into an amazing party den. It’s big enough to accommodate all your friends and colleagues. You can host Christmas parties, Halloween costume parties, reunions and different themed parties. So, turn your carport into a party den and invite everyone for amazing themed parties. 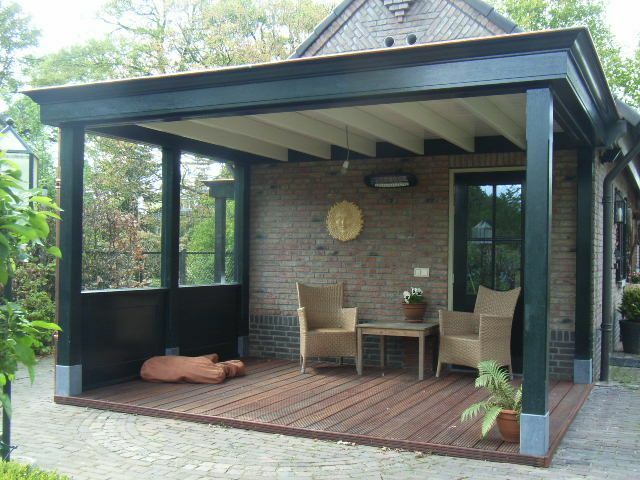 Another great way to use your carport is to turn it into an outdoor dining spot. Carports can be amazing dining spaces. All you have to do is place a dining table with pretty tablecloths and chairs in the middle and a plant or two at the corners will add to its beauty. To add to its aesthetics, you can place candle racks and glitter lights. Now you don’t have to dine at high-priced restaurants, you can cook and have a romantic date at your own house, celebrate your parent’s marriage anniversary, Christmas and thanksgiving dinner in your Carport. 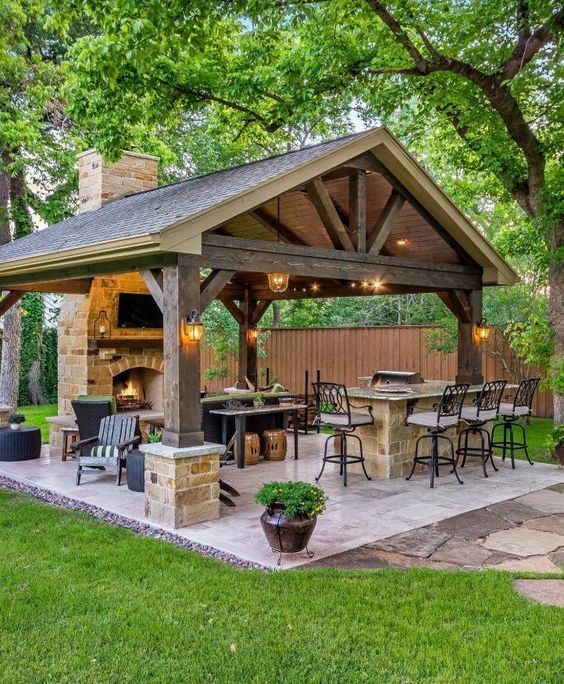 If you have a spacious (wider) carport, you can make it an incredible outdoor entertainment spot with dining tables and grill, a lounge where people can sit and gossip, eat and drink. You can place small tables all around where different people can enjoy themselves differently. Some can play cards and board games, some can sing and play guitar, and ladies can eat and chat with their friends. You can also turn your carport into a game zone or a game room. Game rooms are supposed to be bright and colorful. Here is your chance to be creative with colors. You can add table tennis at one corner, ping pong ball table at another, a foosball table would be a perfect choice, keep scrambles, Uno and other card games on a tiny table. You can keep colorful mats, a sound system, a basketball hoop, a small fridge to keep the drinks chilled and easily accessible. So, when people visit your house, they can never leave without experiencing the game zone. If your house doesn’t have a porch, carports prove to be an amazing solution. Even if your house has a porch, what’s better than a bigger and spacious one? 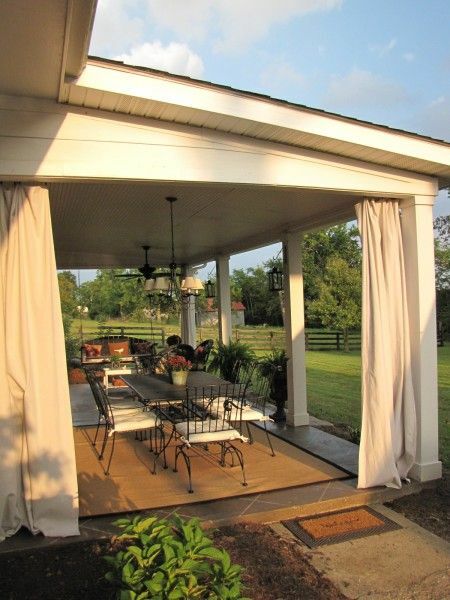 You can use a part of the carport or the whole area can be your new porch. Add a few charms to make it look appealing and attractive – some swings chairs or rocking chairs, tiny tables with racks to keep the magazines and newspapers, bean bag and a few hanging flower plants. Now, who doesn’t want a bar in the house to relax over cocktails? 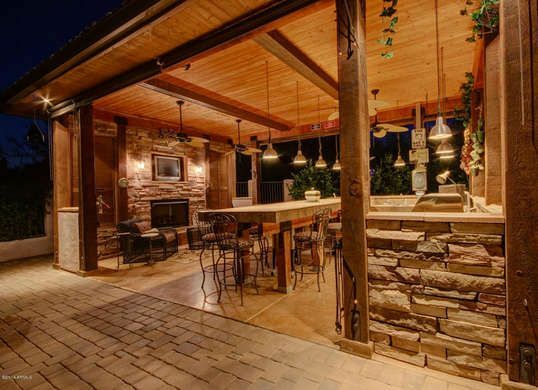 A carport has the space to be an excellent bar. It is a fancy choice and you can do a lot of creative work here. Hang glitter lights throughout, put on some fancy clothes and footwear, and invite your friends and colleagues for a cocktail party. To make it into a bar you need to place shelves at the back to keep the alcohol. Keep it in a way everyone can see. Place tables with a few chairs, some bar stools and a long table where you make the cocktails for everyone. Hence, if you have a carport and its unused you know what to do with it now. Transform it into the entertaining area of your choice with the help of these above eight tips. Add a few pieces of furniture, lights, some plants and music to make it a wondrous space for your friends and family to mingle and relax. If you are planning to buy a carport, call 877-801-3263 and speak with our building specialists who will help in setting up your new party lounge.